Buy the Saniplus Up online and save time and money. The Saniplus Up is the new version of the Saniplus macerator for installing a new en-suite bathroom virtually anywhere in your home. It has a more slimline design than the older model and it now has easier access to the tank, due to a removable lid which makes cleaning and servicing easier. Another advantage is a quieter motor. 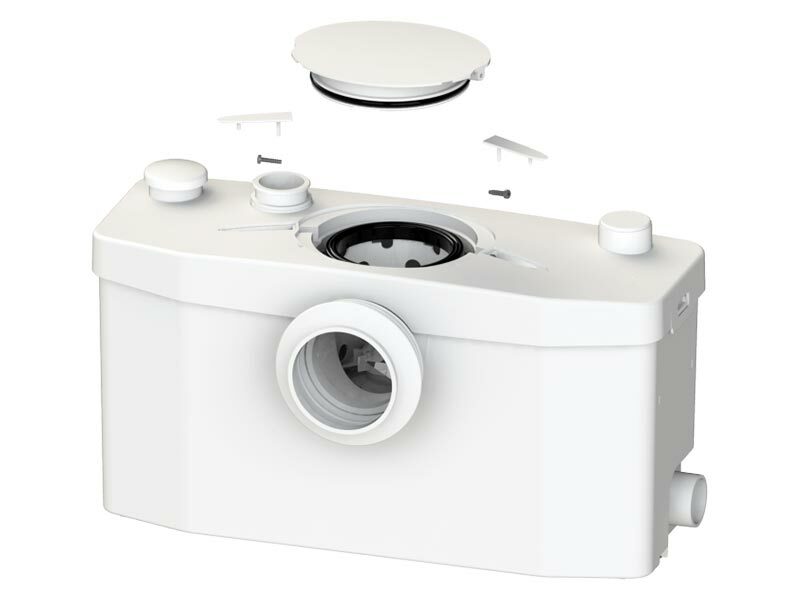 Saniplus Up features two inlets and a greater tank capacity than other models, meaning it can comfortably deal with all waste from a WC, wash basin, bath, bidet and even the highest output of power showers. 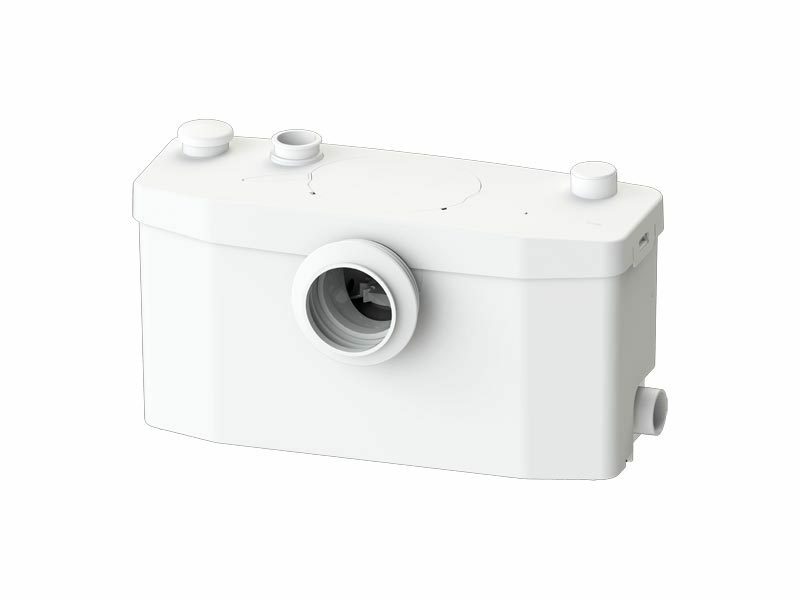 The ability to pump waste up to five metres vertically and 100 metres horizontally, and through pipes as small as 22mm diameter, means that the Saniplus Up allows you to add a complete bathroom in a loft conversion, house extension, or anywhere else that ordinary large-bore pipework is impractical. Please note the Saniplus Up requires 210mm clearance behind the WC. 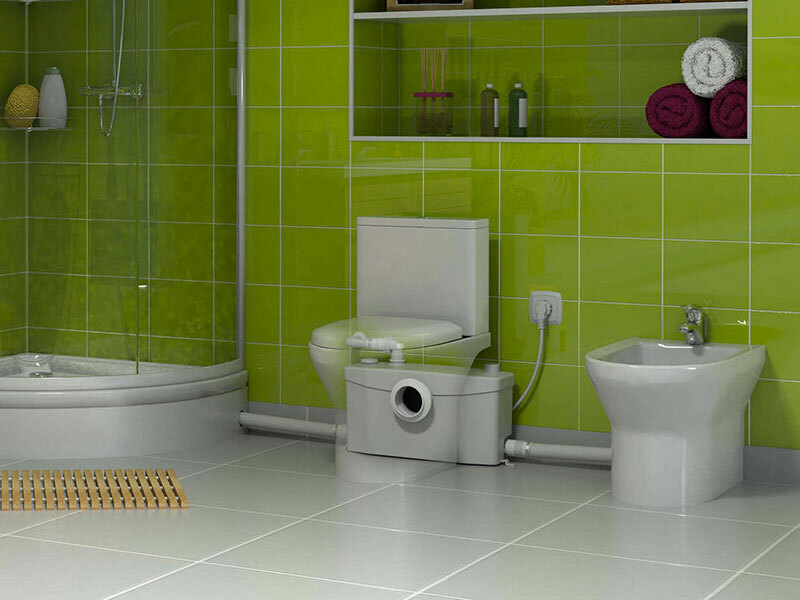 The Saniplus Up along with all of our SANIFLO Systems and Kinedo Shower Cubicles can be bought online with the reassurance of dealing with the leading SANIFLO & Kinedo Agent in the UK.